Greatness in teaching is just as rare as greatness in medicine, dance, law, or any other profession. Although the qualities that make great teachers are not easy to inculcate or duplicate, understanding these qualities can give all teachers a standard of excellence to strive for, and guide schools in their efforts to recruit and retain the best teachers. To that end, I offer the following observations about the key characteristics of great teachers. This list is certainly not exhaustive, and the characteristics do not appear in any particular order of importance. In my more than 40 years in education, including 24 years as a public school administrator who directly supervised more than 130 different teachers, these qualities emerged as hallmarks of the best teaching. You cannot achieve greatness by working from 8:30 a.m. to 3:00 p.m. Teaching, like every other serious profession, requires time. Dennis Littky, an award-winning principal, said, “You can't be a great teacher or principal and not work long, long hours” (personal communication, November 11, 1988). By investing time—to prepare for class, to go over student work, to meet students outside of class, to talk to parents, to attend school meetings, and to serve on school committees—a great teacher indicates to students that she or he sincerely cares about their learning. When well-known and respected teacher Thomas T. Lyons retired from Phillips Academy in Andover, Massachusetts, after a 36-year career, the many tributes he received from former students overwhelmingly focused on the time he spent with them (Rimer, 1999). Lyons interviewed every youngster individually at the beginning of the school year. One student, Julie Stephens, said, “Mr. Lyons must have invested at least 20 hours in me” just on one paper (p. A6). Most teachers belong to a teachers' association, union, or other organization that represents their interests. Typically, some formal document or agreement specifies how many minutes per day or hours per week they must teach; how much unstructured time they are entitled to; how many meetings they must attend; and the compensation they must receive for additional work beyond the usual load. Great teachers respect this agreement and acknowledge that it protects their rights, ensures academic freedom, and spells out good professional working conditions. But they don't hesitate to go beyond the contract voluntarily and often—for example, by meeting with a student study group during the teacher's preparation period or after school—in order to meet the needs of their students. My wife, who had a successful 32-year career in elementary education, had a natural affinity for the early primary grades and grew increasingly uncomfortable with each grade above the 2nd. She read children's literature for younger students with gusto, happily attended workshops to master materials and methods to better teach primary math and science, and loved spending time with young children. But teaching above grade 4, she was a fish out of water. About 25 years ago, when the shift from junior high schools to middle schools took hold, I came across many teachers who wanted to work with children of middle school age, 11 to 14, and who took pleasure in the special challenges that those years posed. In many districts, the frequent requests to transfer from junior to senior high school slowed or nearly stopped. Many middle schools developed advisory groups and used a team approach to bring teachers and students into closer contact. Teachers who had previously felt uncomfortable in junior high schools thrived in the middle grades, and a cadre of great middle school teachers emerged. Most teachers find joy in teaching because of their talent for relating to students in a particular age group. Unfortunately, too many school districts transfer teachers on the basis of seniority from one grade to another without recognizing the importance of fit. An important part of greatness is the match between the teacher's skills and interests and the age of his or her students. A great middle school English teacher might be an average 11th or 12th grade English teacher. Great teachers need to find their own ways to “manage” a group of students. For instance, if a student were to interrupt the class inappropriately, Lee Canter's Assertive Discipline approach (Canter & Canter, 2002) would suggest consequences for failure to follow known and reasonable rules; Alfie Kohn (1996) might suggest that the teacher ask himself or herself whether the content or methods of the lesson contributed to the problem. The most effective teachers draw from these well-known theories, but adapt them to their own personality. A culture of respect that flows in every direction: teacher to students, students to teacher, students to students, and everyone to guests. Immediate—or at least timely—teacher actions that usually work. A clear, shared understanding of acceptable and appropriate behavior. Too often, we underestimate the amount of time that teachers spend with other adults in a school—other teachers, administrators, and parents. Great teachers work well with each of these groups. They depend on other teachers as a constant source of information, enrichment, and sometimes solace. From study groups to faculty meetings to such rare moments as receiving an award or attending the funeral of a student, teachers need to support one another. Outstanding teachers quickly become identified as school leaders, whom other teachers admire and turn to for advice or collegial sharing. The best teachers also find ways to work harmoniously with administrators and to show administrators how they can support teachers. For example, the teacher may point out areas of the curriculum that need attention and coordinate or offer to serve on a committee to explore solutions to a problem. Great teachers also place a priority on keeping parents informed about their children's progress, and they sensitively help parents understand their children's problems. These teachers understand that the lack of a strong partnership between teachers and families may undo many of their best efforts. Greatness in teaching requires consistently outstanding performance over the years. That does not mean that the teacher never has a bad day, or even a bad week. In fact, most great teachers have had a difficult year or two. One of the finest English teachers I knew had a tough year adjusting to a new school, and a somewhat spotty year about seven years later when serious family problems were weighing heavily on him. Over the 19 years that I supervised him, however, he had 17 great years and two good years during which he showed remarkable resilience and fortitude. The best teachers get divorced, become ill, have problems with their own children, need to attend to aging parents, and have other personal issues in the same proportion as other professionals. They also have both mild and serious professional disagreements about new curriculums, teaching methods, assessment techniques, and materials. But great teachers have the good judgment required to balance these problems in a way that minimizes fluctuations in classroom performance. Some teachers are able to compartmentalize personal and other issues; others require a short period of time off to handle vexing problems. The best teachers consistently find ways to integrate new methods in an ever-changing profession into their successful practices. Dedication to their work, flexibility, and the willingness to grow are common to great teachers in the face of difficulty and change. Great teachers use a variety of instructional methods that they feel comfortable with; within the same school, you'll find different teachers getting excellent results using such methods as mini-lectures and interactive lectures, problem-based learning, cooperative groups, and multiple intelligences approaches. No single teaching method or approach works best for every teacher with every student. We know, however, that research and experience strongly support some instructional approaches over others. The best teachers select from the methods that are well researched and widely practiced at their grade level or within their subject area, and become expert in several that fit their style and the needs of their students at that time. Both progressive and conservative educators speak about the importance of content. From Deborah Meier, the MacArthur award-winning advocate of small schools of choice, to William Bennett, the former education secretary and critic of public schools, educators emphasize the importance of knowing the subject you teach. Everyone agrees that great teachers possess a solid command of content, whether their expertise lies in knowledge of reading in the early elementary grades or a serious command of biology or mathematics at the high school level. Because of the close connection between preparation time and content, the best teachers often spend as much time preparing for a class as they do teaching it. Setting up a lab experiment for 5th graders, reading a short story three times in order to formulate good questions for discussion, or working through 15 math problems and anticipating questions and obstacles takes time and deepens the great teacher's mastery of content. Like any other profession, teaching undergoes constant change. The past 30 years have witnessed a marked increase in education research and the emergence of solid information about teaching and learning. 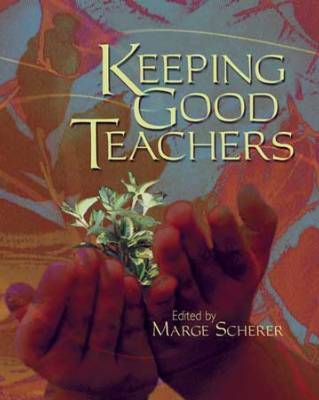 Great teachers remain intellectually alive and open to responsible change grounded in theory, research, and practice. Dozens of specific and well-researched techniques are available today to help all learners—particularly reluctant learners and those with disabilities. Since the late 1970s, all of the following areas of education knowledge (and many others) have developed and become worth exploring: technology; character education; rubrics; closing the achievement gap; standards; cooperative learning; diversity; assessment and evaluation; multiple intelligences; reading instruction; curriculum reform; and bilingual education/structured English immersion. The much-used phrase “lifelong learner” really does apply. Although any great teacher must judiciously decide what is worth pursuing and how to maintain high standards, only a Luddite would ignore the potential of new methods for using technology, research on the most effective strategies for reading instruction, or current cooperative learning approaches. Of course, content knowledge is an important area of growth. Great teachers are always learning more about math for elementary students, science for disabled students, or Shakespeare for Advanced Placement students. In addition, outstanding teachers continually grow by taking college and inservice courses, reading professional literature, and engaging others in serious conversation about school issues. Often, the finest teachers serve on education committees or become teacher experts who lead study groups or professional development courses. Some people, particularly people outside the profession, expect teachers to “perform” in classrooms and to maintain a high energy level. Great teachers, however, are not necessarily performers. Instead, they hold students' attention through subject mastery, skillful lesson design, actions that demonstrate caring, and an honesty that reveals their individual personality. After all, K-12 teachers conduct formal teaching for about 25 hours each week, 40 weeks each year—plus individual conferences, hall duty, informal meetings, and other contacts with students. No one can sustain a performance for that length of time. The great teacher is steady, intelligent, concerned, interesting, and interested. The performers do not last long. No one can produce a complete and definitive list of the characteristics of great classroom teaching, but I hope that this list provides a starting place. Knowing the qualities of greatness can help teachers strive for the highest standards and help education professors, teachers, and administrators jointly craft preservice training or inservice programs that build on these qualities. Teaching is a complex act. Danielson (1996) estimates that a teacher makes more than 3,000 nontrivial decisions every day. No list can capture the extraordinary subtlety involved in making instant decisions about which student to call on, how to frame an impromptu question, or how to respond to an interruption. The late Madeline Hunter compared teaching to surgery, “where you think fast on your feet and do the best you can with the information you have. You must be very skilled, very knowledgeable, and exquisitely well trained, because neither the teacher nor the surgeon can say, ‘Everybody sit still until I figure out what in the heck we're gonna do next’” (Goldberg, 1990, p. 43). Watching a great teacher at the top of his or her form is like watching a great surgical or artistic performance. Although infinitely difficult and painstakingly planned, great teaching appears effortless and seamless. One can easily believe that it is the simplest thing in the world—until one tries to do it. Canter, L., & Canter, M. (2002). Assertive discipline: Positive behavior management for today's classroom (3rd ed.). Los Angeles: Lee Canter & Associates. Goldberg, M. (1990). Portrait of Madeline Hunter. Educational Leadership, 47(5), 41–43. Rimer, S. (1999, July 31). Teaching as a torrent of bubbling information. New York Times, p. A6.